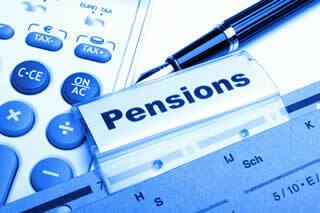 Private pensions - what you need to know. A private pension is a plan into which individuals contribute from their earnings, which then will pay them a private pension after retirement. It is an alternative or addition to the state pension. Usually individuals invest funds into saving schemes or mutual funds, run by insurance companies. In theory saving £100 a month for 40 years (£48,000) in a Pension could give you a Pension Pot of £149,000! Any sensible pension advisor will tell you that you can not predict the future and returns on any pension investment can never be guaranteed. However there are hugh differences between the best and worst funds and there are some simple rules that can help ensure the amount you have to live on in your retirement is what you expect and need. There are literally thousands of Investment Fund Managers all trying to beat the market and get the greatest return, however the majority fail to achieve this. Active managers charge high fees and incur regular dealing costs all of which are passed back on to you through administrative charges to your pension pot. Pension scheme charges can also vary massively from provider to provider. In fact a recent OFT report showed that the most expensive scheme charged 2.3% of the fund every year. Why are so many losing out? At present some reports suggest up to 85% of the pensions in the UK are underperforming and the government are urging anyone who has ever paid into a pension to get it assessed by financial professionals. Can your investment returns be increased, or administrative charges be reduced? High charges and low growth can wipe tens of thousands of pounds from your retirement fund and you won't even know it's happenning! There are lots of places you can get free advice on pensions BUT to get independent recommendations of which specific products are best for you, you should talk to an Independent Financial Advisor (IFA). This might sound boring and expensive, some advisors charge upto £700 to perform a detailed review of your pension, but no one should sleepwalk into retirement. Every day you spend in a poorly performing pension is another day potentially spent throwing your money away on excessive fees and you could be subsidising someone else's retirement. MoneyAdviceOnline.co.uk have arranged for our users to get their pension performance and charges analysed for FREE by an FCA approved advisor, saving you upto £700. This performance review has absolutely no obligation and once again is completely FREE, however due to the demand for this service they are offered on a strictly first come first served basis, so don't delay book yours today. What pensions can we help with? Our pension specialists can quickly advise you best options available and will perform a Pension Performance and Charge Analysis for you completely free of charge. Simply call the team FREE on 0800 33 68 133. Alternatively use the pension performance test and find your best option.